Foods that are very hard or extremely sticky can also cause physical damage to orthodontic appliances. 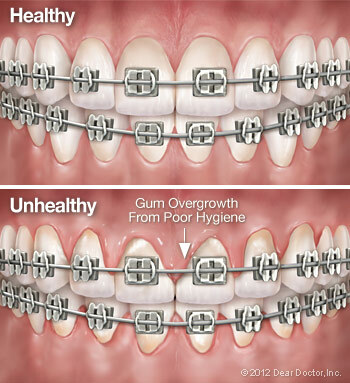 Certainly braces or appliances with broken wires or loose brackets aren't working to straighten your teeth! You should avoid foods like hard candies or nuts, beef jerky and hard pizza crust. Keep eating healthy foods like carrots and apples — but cut them into bite-sized pieces first! And don't chew on ice, pencils, or your nails: these habits can cause damage to your appliances, and even result in chipped teeth!